As the festival nears, we thought we’d pull together some of the frequently asked questions into a handy guide to Bracknell Ale & Cider Festival 2017 at Bracknell RUGBY Football Club. What time does the beer festival start? Where is the Bracknell beer festival? I am coming from a bit further away. Where can I stay? Will I be able to get other drinks beside real ale? Can I help at the beer festival? How much is a ticket to Bracknell Ale & Wine Festival? Will you have enough seating this year? What food is available at the beer festival? Can we bring our own chairs and tables? What is the price of the beer? Do you have card facilities at the club yet? Can my company get involved in the festival? What is the festival for? Q. What time does the beer festival start? The beer festival starts on Sunday 27th May at midday and closes at 10.30pm. Don’t worry. We’ve hired a huge marquee to cover you up and we have plenty of extra cover, we also don’t mind brollies. Q. Where is the Bracknell beer festival? Bracknell Ale & Cider Festival is hosted at Bracknell Rugby Football Club, Lily Hill Drive, Bracknell RG12 2UG. It is within easy walking distance (20 minutes) of Bracknell Town Centre and Bracknell Railway Station. Full details on the location here. Q. I am coming from a bit further away. Is there somewhere I can stay? You bet! We’ve got a list of local hotels here. You can also hop on the train from where ever you are and when you get to Bracknell station, use the shuttle bus to get to the site. Details and fare’s here. Q. Will I be able to get other drinks beside real ale? As well as 60+ real ales, we will have locally sourced wine and cider available as well as Pimm’s, Prosecco and a range of gin. The clubs main bar will be open and serves draught lager as well as Greene King beer on pump. The club also stocks a huge range of bottled beers, spirits and ciders from Becks to Magners and Vodka. Q. Can I help at the beer festival? We welcome all the help we can get, particularly on the day with serving customers. If you are interested in getting involved see our contact us page. Q. How much is a ticket to Bracknell Ale & Wine Festival? Tickets to Bracknell Ale & Cider Festival 2018 are priced at £6 for adults, and £3 concessions in advance. On the the day adult tickets are £8. Buy online here or on the day, we don’t mind. Q. Are there discounted tickets? If your are a fully paid up, card holding member of CAMRA then you are entitled to entry to the festival for £1. Members of Bracknell Town Football Club, Bracknell Bees Ice Hockey Club, Bracknell Rugby Club, Bracknell Cricket Club, Bracknell Athletic Club, Binfield FC, Wokingham & Emmbrook FC and more (email beer@bracknaleevents.co.uk to check) are also entitled to free entry on production of a valid membership card or season ticket. You can also get free tickets if your business becomes a festival sponsor. Q. Will you have enough seating this year? We have extra seating available, but remains limited. The main festival area will be on the pitch at Lily Hill Park pitch this year and we are happy for attendees to bring their own furniture (picnic chairs and tables/blankets) but at your own risk. Any furniture left behind will be disposed of unless prior arrangement with a club official. Q. What food is available at the beer festival? 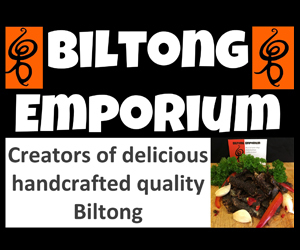 We are happy to say that once again we have the Food Court containing food from Biltong Emporium and You Silly Sausage as well as others to be announced. We think you will agree, a mouth watering prospect. Q. Can we bring our own chairs and tables? You are more than welcome to bring your own furniture for the afternoon. With the festival on the Lily Hill Park pitch, we would like to encourage visitors to bring their own picnic tables, chairs and blankets but at your own risk. Any furniture left behind will be disposed of unless prior arrangement with a club official. You are welcome to bring children to the festival, but we don’t specifically cater for them and all the usual licencing laws apply. Q. What is the price of a beer? The price of beer at this years event will be announced shortly. Q. Do you have card facilities at the club yet? Card facilities exist at the Rugby Club and you will be able to pay by card over the bar. The nearest cash points are located at the BP Garage on London Road, Bracknell Town Centre and the Old Manor Public House (though I believe this will charge you for transactions). Q. Can my company get involved in the festival? We would love local businesses to get involved. Find out how here. Q. What is the festival for?